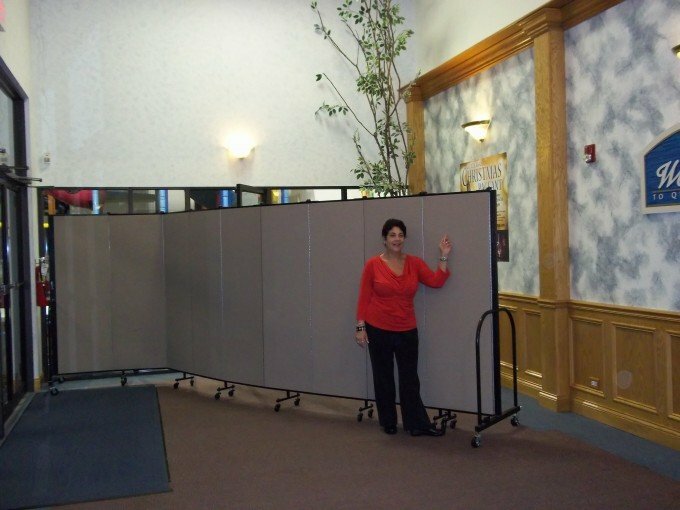 Here is another great example of how Screenflex Room Dividers for banquet halls are used. Quentin Road Church in Lake Zurich opens up one divider during an elegant Mother-Daughter banquet. See how the entryway is transformed. Last Friday night my daughter and I went to an annual Mother – Daughter dinner that is presented by Quentin Road Christian Preschool/Church. This is an incredible event. My daughter and I always look forward to this banquet. It’s fun for both of us. What a great excuse to dress up and spend some time together. The food is elaborately presented and prepared by Chef Dean! 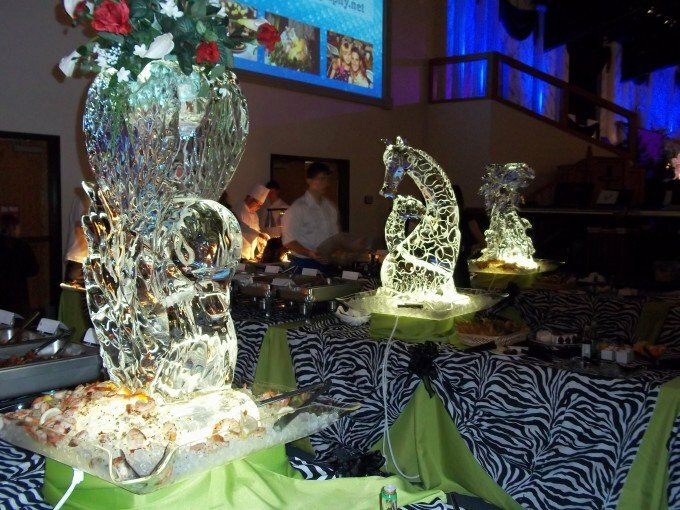 Gorgeous ice sculptures are a nice touch and everything on the menu is always perfectly sumptuous. The kids love the wide variety of desserts. Sorbet, fresh strawberries, and tons of our favorites including cheesecake, baklava, and cannoli are enjoyed by all. I love how the girls relax and enjoy the evening while the guys run around and do all the serving and clean up. They are very kind and it’s great practice for married life right? 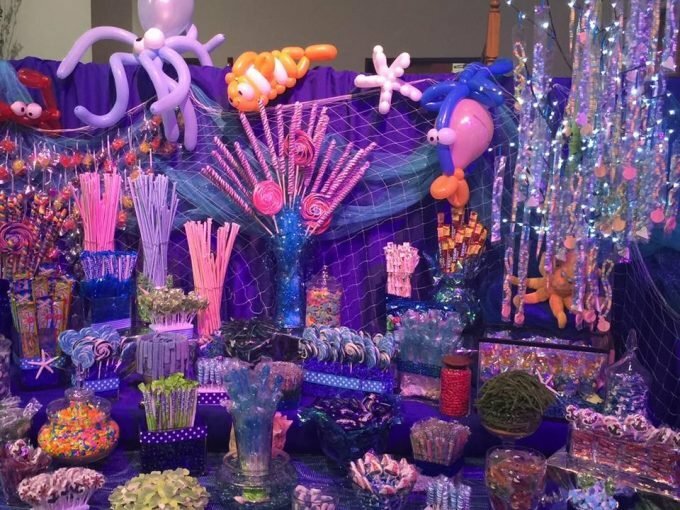 Each table is set up with the hostess’s own dinnerware giving each table its own flare. Our table had a beautiful fall theme. Very elegant and appropriate! To the left of one of the entrances, a 6′ tall room divider is set up to give a path for guests so they know where to go and divert the young ones away from the “Playland“. If you look at the photo, you can see the room behind the Screenflex Room Divider. A very large play area with slides and a large ball pit is a great place for the preschool kids to hang out during playtime. The portable divider works as a great visual barrier, hiding the “Playland“. Out of sight, out of mind. Kids are less likely to ask to play there when they can’t see it. The evening of the event, the staff uses the “playland” for empty trays and tops from the banquet so they can be stored quickly and put up, out of the way. Just one room divider does the trick to deter young guests and hide the mess. Everyone had a wonderful time as always. For more information on how you can transform your room, visit us at www.Screenflex.com or call us at 1-800-553-0110.